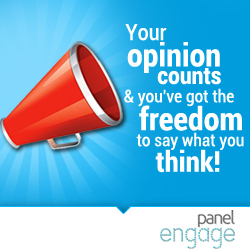 Panel Engage is a good survey site where every time you complete a survey you will collect between 500 and 2000 engagement points, depending on the survey duration and complexity. These points will be added directly to your Panel Engage account. You will start with 500 engagement points when you complete the short profiling survey after registration. Once your points balance has reached the redemption threshold of 20,000 you can redeem it by cash reward via PayPal.